Find Your Passion in Life - Something New Everyday! you love to do something and you don't know why"
The rich and famous, the movers and shakers are not necessarily high school toppers. Nor do such successful people hold great college degrees. They are successful because they can generate enthusiasm at will, in themselves, in their colleagues and in the environment. These are the people who love their subordinates, admire their bosses and are prepared to learn from their peers. Such people love their work and can never get tired of what they do. This love sets them apart from unsuccessful people who take their work as drudgery. Deep love for your work is called passion, which is the most important strength of human beings and sets apart great from the good ones. Therefore it is not the intelligent quotient (IQ), but your passion Quotient (PQ) that will take you to pinnacle of success. As field marshal Foch said "the most powerful weapon on earth is human soul on fire." In a booming economy, not only are there more number of job opportunities, but there are also more types of jobs available. About three decades ago, there were very limited job domains and one had very little professional choices available to choose from. However, today with the expansion of service sector and a push to the manufacturing sector it is possible for an individual to make a career in a field that he or she loves. For example media, internet, hospitality, travel leisure, knowledge management, retail, business process out sourcing, analytics, event management, E commerce were never even heard of as professional options a even a few years ago. Today, India is on a high and many young professionals are leaving the comfort zone of their jobs and venturing out into their own business on their way to becoming entrepreneurs choosing fields that they love. Since so many opportunities are available, you can really pick up something that you like. If you love your job, let me assure you that you are on a permanent holiday. Indira Gandhi was asked "how do you work twenty hours a day without getting tired?" "Because I love my Job!" Was her answer. Similarly great designers, artists, painters, writers, actors and scientists excel in their work because they are madly in love with their work - they are passionate. If you love physics then don't push yourself to excel in poetry and if you love English literature, don't take engineering as your chosen profession. This way you are not only deceiving yourself but are also killing your own potential to do well in life. Either take up a job that you love, or better start loving the job that you take. How does passion help you to do better in life? Mother Teresa worked passionately for the poor because she 'felt' for the poor and the sick. Such people work selflessly and look for no financial rewards. Many young people leave their well-paid jobs to start a meaningful NGO. The bottom line is they want to do it. It lets you perform and deliver beyond your ordinary capacity. Since you love it, it comes naturally to you. "Helps you identify your Goal Passion has been instilled in us by nature to remain 'on track'- like an inner compass. It gradually pushes you to be what you ought to be. If the following is true for an activity for you, then that activity is your passion. It attracts you- A football player is always attracted to a football match. Artists are attracted to a paint brush and a taut canvas. It is simple for you to learn- if you have potential to be a test cricket player, it will be very easy for you to follow the instructions of your coach. Great dancers like Madhuri Dixit and Hrithik Roshan can perform beyond the expectations of their choreographers. It is effortless - Playing a violin for a passionate musician is effortless. Great speakers do it with grace and effortlessly. It's a state of ecstasy - Amitabh Bachchan was asked by Karan Johar in a chat show about the secret of his intense performances. And he said 'When I am in front of the camera, something happens to me, and I just perform automatically.' This is a state of flow, total joy- ecstasy. More than 50 percent of close to a million small businesses started in America in 1998 - 2000 were based on hobbies or personal interest of people. These guys actually made a living out of what they really loved. 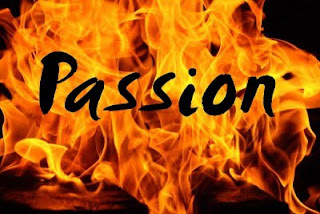 In addition to business, all those who make money through professions like sports, arts and creativity are also driven by passion alone. Don't chase money, money is a byproduct -it will come. To translate your passion into a viable profession - where you can earn while having fun- you need to expand the scope of your passion. Let me explain this point. First you should identify what you like or what is your drive. Let us say you feel acting is your driving force. Your first choice will be to become a film actor. But is it the only option? No, there are other options too. For instance, if you cannot get a break in films, you could look for a role on television. Just imagine a drive or passion for acting can open up so many windows of opportunity. Adolf Hitler was a great orator; he used to rehearse for hours before delivering his political speeches, which became the reason for his political ascent. Great article, as all the ones you kindly send!